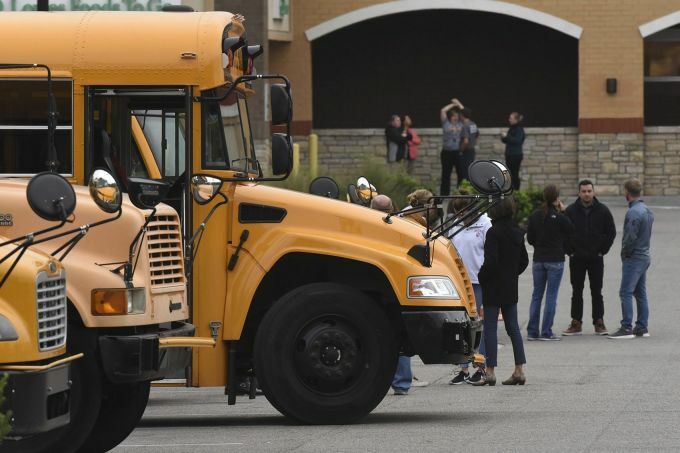 Hampstead : School buses line the parking lot of Lowes Foods on Friday Nov. 9, 2018, after initial reports of an active shooter were reported at Topsail High School in Hampstead, N.C. The incident turned out to be a malfunctioning water heater. 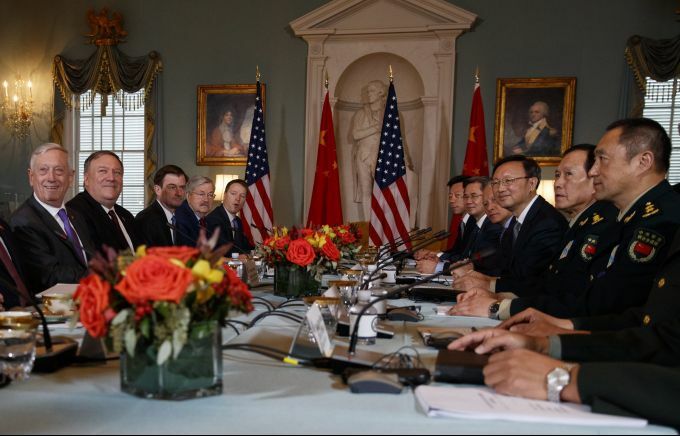 Washington : Secretary of Defense Jim Mattis, left, Secretary of State Mike Pompeo, second from left, Chinese Politburo Member Yang Jiechi, third from right, and Chinese State Councilor and Defense Minister General Wei Fengheat, second from right, meet at the State Department in Washington, Friday, Nov. 9, 2018. 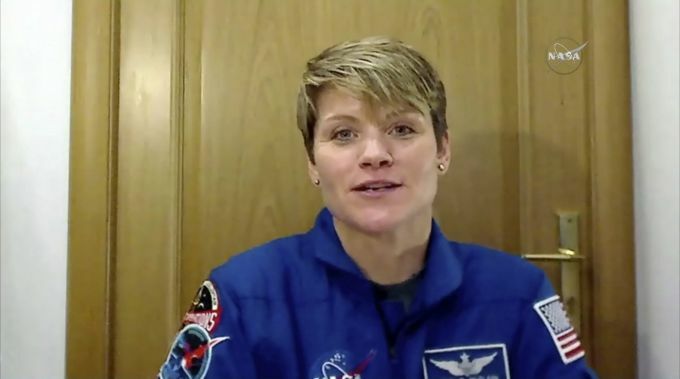 Star City : In this image from video made available by NASA, U.S. astronaut Anne McClain speaks during an interview in Star City, Russia on Friday, Nov. 9, 2018. She is set to blast off Dec. 3 on her first spaceflight, with a Russian and Canadian. 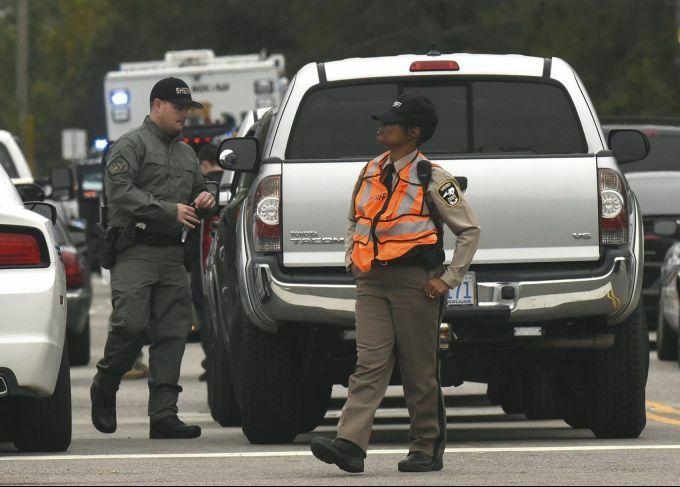 Hampstead : Law enforcement officers have the road to Topsail High School in Hampstead, N.C., blocked off Friday Nov. 9, 2018, after initial reports of an active shooter at the school. The incident turned out to be a malfunctioning water heater. 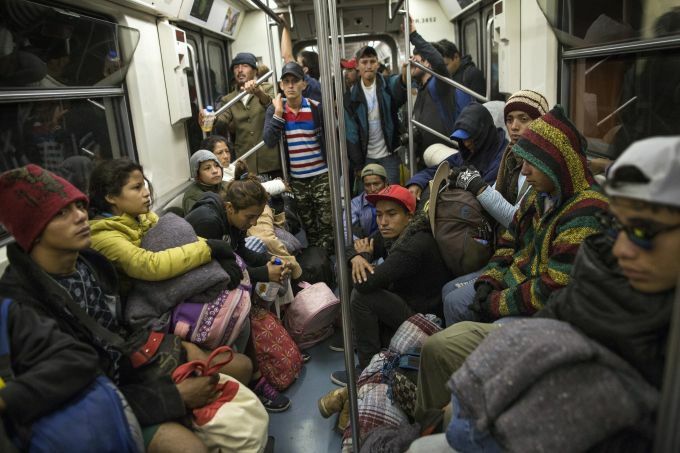 Mexico City : Central American migrants ride on the subway after leaving the temporary shelter at the Jesus Martinez stadium, in Mexico City, Friday, Nov. 9, 2018. About 500 Central American migrants headed out of Mexico City on Friday to embark on the longest and most dangerous leg of their journey to the U.S. border, while thousands more were waiting one day more at the stadium.